Colorpoint Shorthairs are a variety of domestic cat bred by crossing Siamese with the American Shorthair. The intent was to expand the point colors to 16 well beyond the 4 traditional Siamese ones. 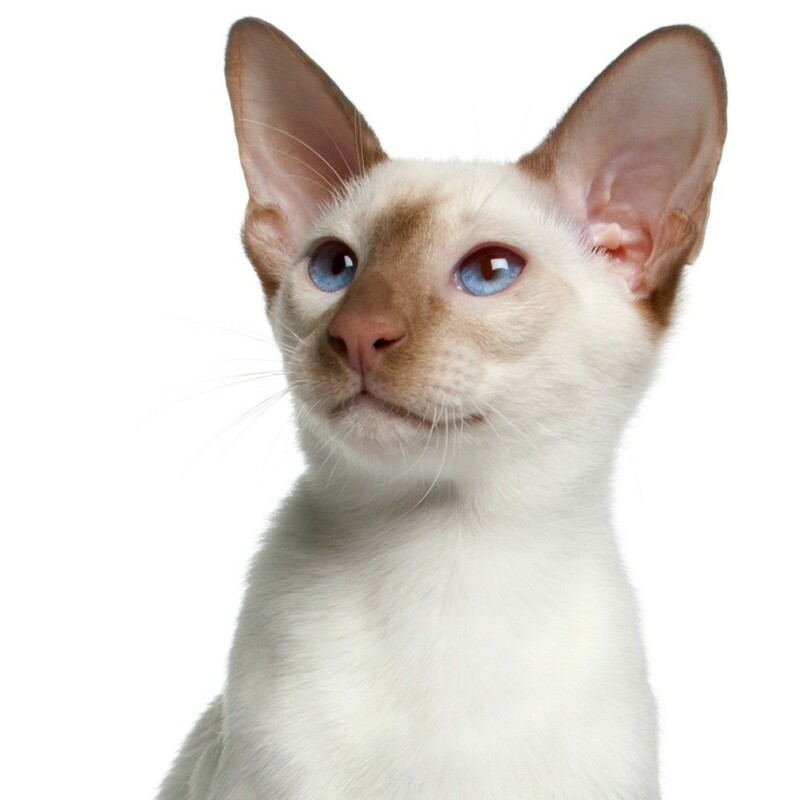 This page contains flame point Siamese photos. Hendrix and Harley are Flame Point Siamese. I got these handsome boys a little over 14 years ago. A little boy in the neighborhood was selling kittens for $10 each. I went by and picked out the one I wanted, and told the family I would return later that night to pay them and get the kitten. When I returned I bent down to get my kitten when all of a sudden another kitten that looked just liked him jumped out of the bushes. I was surprised because I hadn't seen the "twin" before. I looked at the boy's mum in confusion, and told her I didn't know which kitten I'd picked out earlier that morning. She just said "2 for the price of one". I handed her $10 dollars and left with 2 twin brothers. They are very playful for 14 year old cats. They are indoor cats and like to bat little pom pom balls across the floor and pretend that it is prey. They are lap cats and love to hang out with us. They follow us around our home as well. They love to sit under our Christmas tree and of course, sleep, eat and groom. I'm so glad I got them both. Your "Siamese Twins" are adorable! I love the photo of them with the stuffed Rudolph the Red-Nosed Reindeer! They sound like little charmers, & I'm glad you got "two for the price of one". Cats are a lot of fun to watch when you have more than one! Best wishes to you, Hendrix & Harley. Prince Ming is 3 years old and a Flame Point Siamese cat. I got him in October 2004 at the Animal Shelter. Ming likes to sleep with me every single night and play with Baby Jane our dog. Ming suffers from allergies and had to get steroid injections every 3 months. It is easy for people to say 'you should just have him put to sleep' but I love Ming and Ming loves me. If it only costs me $20 bucks every few months to prolong his life so that he is comfortable and by my comapanion then so be it!